Am I rearranging the Titanic’s deckchairs, by fretting over the condition of a 500 year-old drawing? With all that’s at stake in contemporary society, does art conservation really matter all that much? Oh, but I’d argue: if our culture’s worth saving then so are its treasures. And among those treasures I’d count this, perhaps the most famous self-portrait in history: Leonard da Vinci as an old man. After centuries of display throughout Italy, the chalk-on-paper drawing is deteriorating, suffering from “foxing,” or red blotchy discoloration, throughout its entire surface. It might be caused by fungi, or perhaps oxidation caused by exposure to sunlight (from 1929 until very recently it was mounted in the Savoy Royal Library, directly in front of an unfiltered window). Thankfully, conservators are taking a cautious approach. The drawing has been locked in a vault while restoration plans are considered. Conventional restoration might do more harm than good, so nothing will be done until all consequences are completely understood. In the meantime, da Vinci’s self-portrait will not be displayed. Here’s to a full and speedy recovery for Leonardo. He was one of history’s greatest geniuses, and he’s worth saving. Maybe we can’t stop the seas from rising, or our political and economic systems from self-destructing. But can we at least save our culture? That’s something, isn’t it? 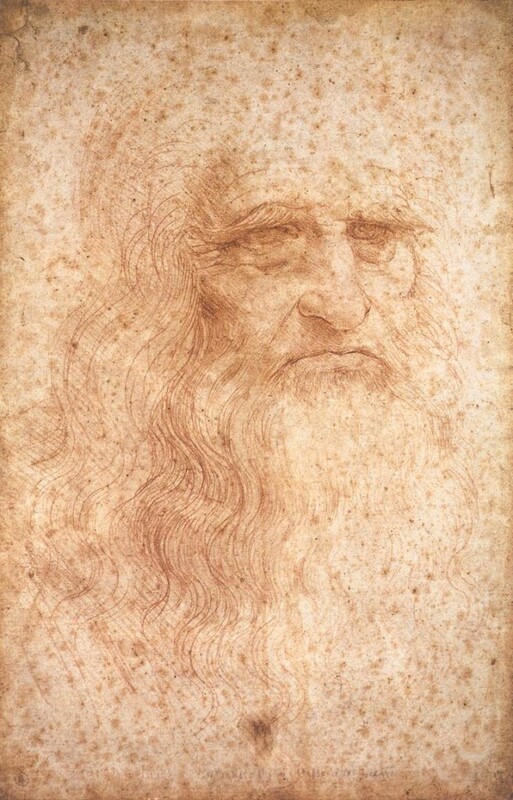 This entry was posted in New Post and tagged art conservation, leonardo da vinci. Bookmark the permalink.